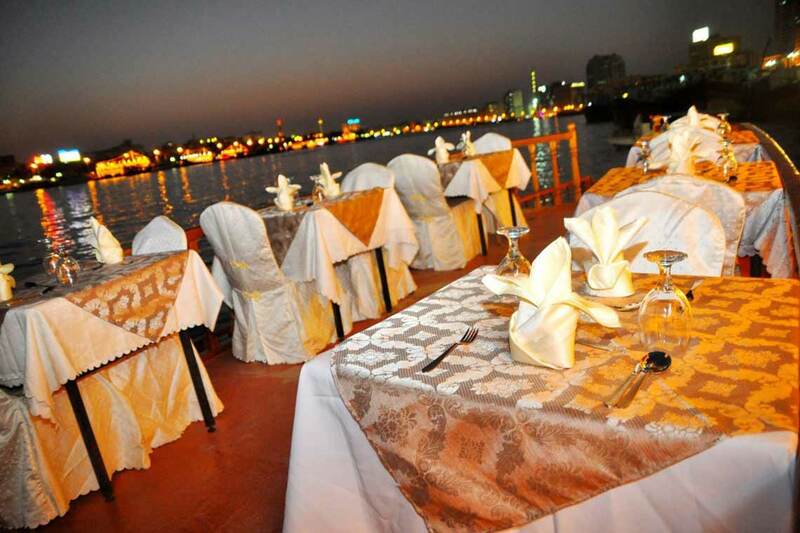 Glide down the serene Dubai Creek on our traditional Arabian dhow and enjoy a lavish buffet dinner onboard! 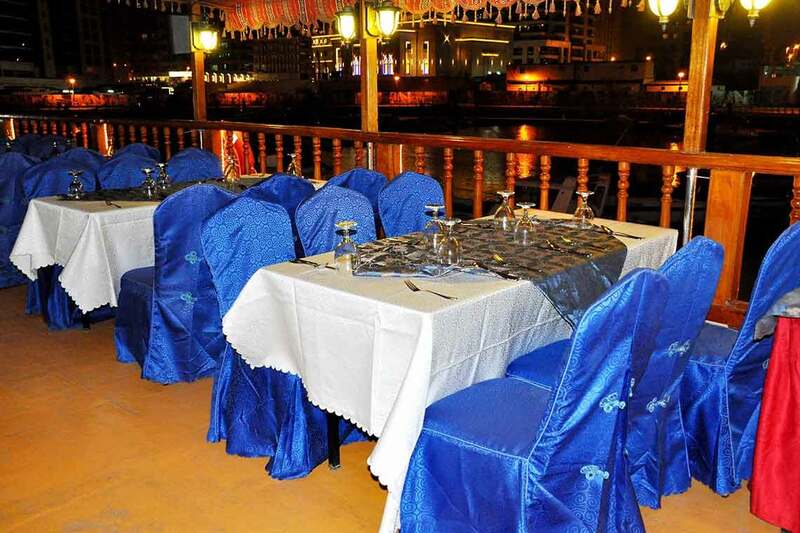 To have an incredible experience distinguished by wonderful hospitality, courteous services, and incredible ambience, you must book bookdhowcruisedubai’s Dhow Cruise Dinner – Creek Tour while in Dubai! 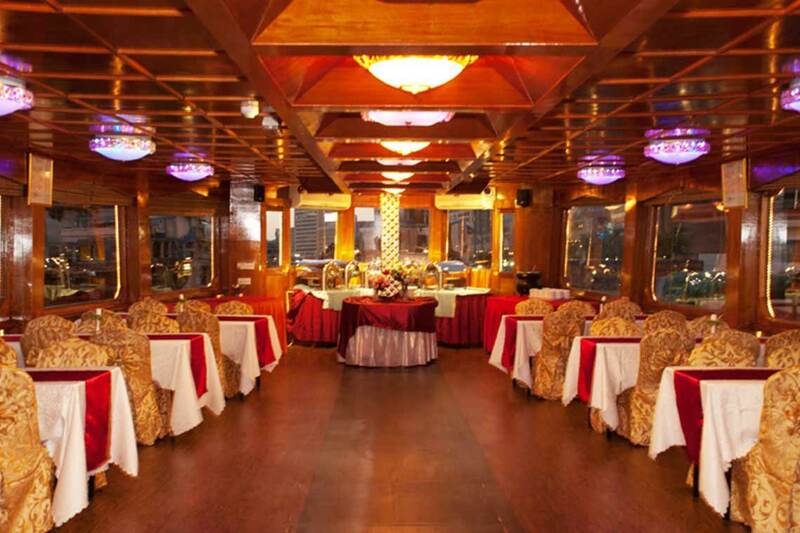 A dinner cruise is one of the most sought after things amongst Dubai tourists and with bookdhowcruisedubai.com; you’ll discover the best way to enjoy the exquisite vistas of Deira and Bur Dubai in a welcoming and cozy atmosphere. 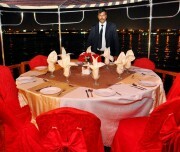 This Cruise Dinner in Dubai Tour begins after sunset and lasts for around two hours, to cover almost entire Dubai Creek. The river bank is home to endless tourist attractions and itself outlines the creek. 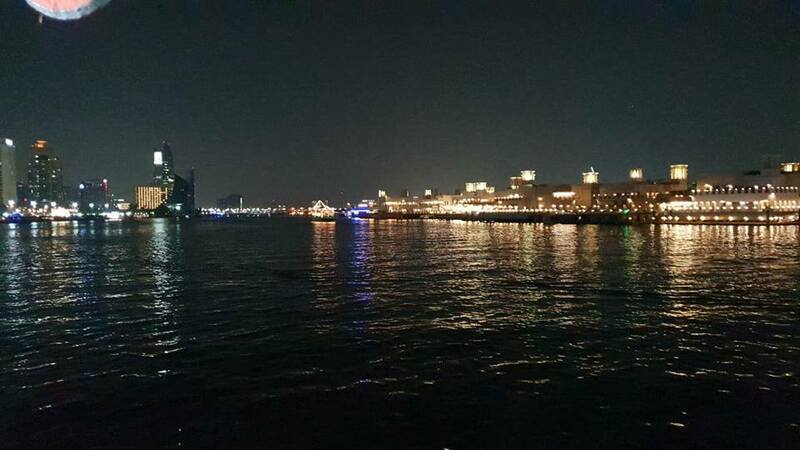 No wonder Dubai Creek is definitely one of the most iconic sights in Dubai! 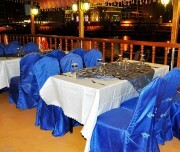 Once you board our magnificently restored wooden dhow on Dubai Creek, we offer you a welcome drink and while the most awaited cruising begins, you can dine on an inspired range of freshly prepared gourmet delicacies including original Emirati dishes topped off with a luscious array of desserts. Gaze at the splendid creek that exhibits a beautiful blend of olden aura and charm with the modern classiness while cruising. 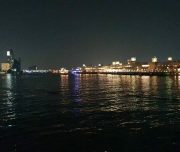 Our traditional Arabian dhow cruise Dubai offers a never before experience along with the opportunity to enjoy a spectrum of onboard activities such as Tanura Dance Show and live music performances. 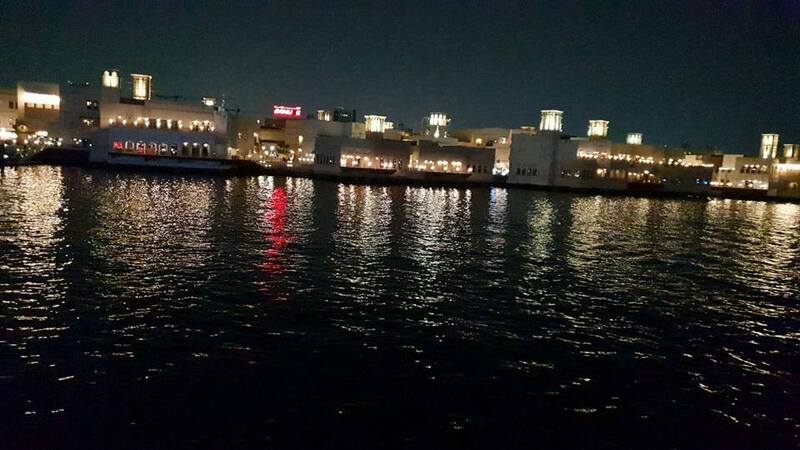 Do you think there could be another better way to finish up a day full of exciting sightseeing in Dubai? To book your tour with us today, get in touch with us today! 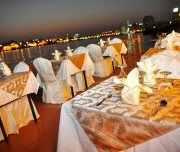 We ensure you get the most of those glittering waterfront sights of Dubai in a casual, invigorating setting. 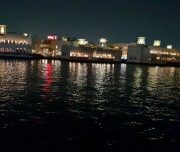 Cruising for two hours near Burdubai and Deira creek area. Welcome drink, water, tea, and coffee. No cancellation charges will be applicable if trip is cancelled/amended 48 hours prior to the tour date. Refund will be made within seven working days from the date of cancellation and the refundable amount will solely depend on the above mentioned cancellation/amendment/refund policy. When it comes to tourism industry, every few companies deliver what they promise. Moreover, there are many that make false promises as well. 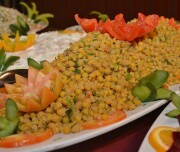 But dhowcruisedubai.com is out of the league. This company doesn’t make false promises and delivers what it vows. 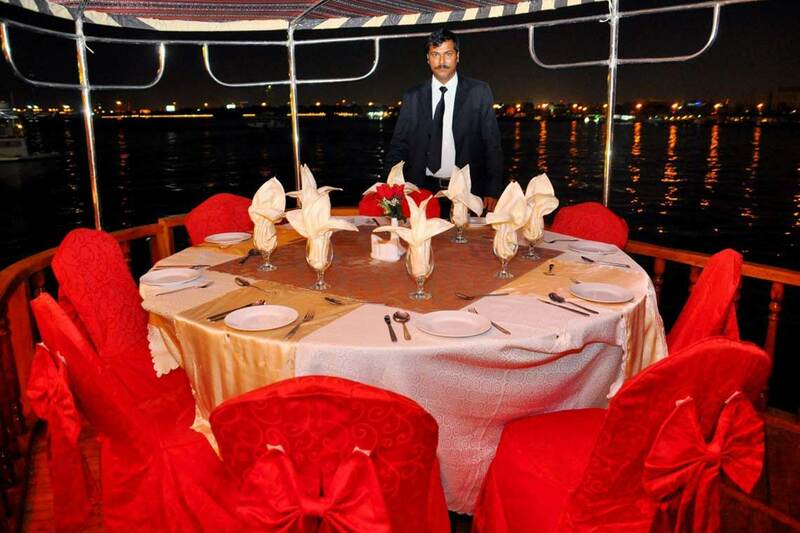 We experienced their professionalism and high ethics after taking a dhow cruise on the magnificent Dubai Creek. 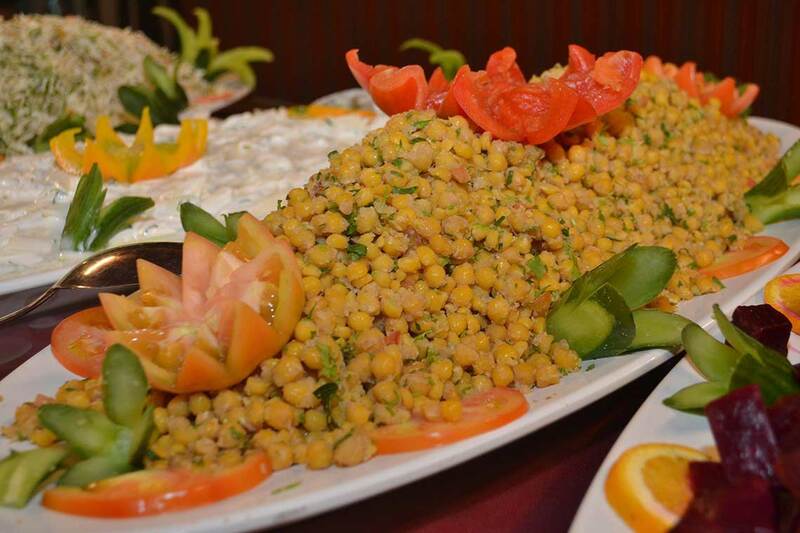 They stuck to every single word, be it hospitality, courteous services, amazing ambiance, and sumptuous buffet as promised. 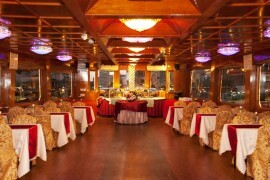 If you are looking for dhow cruise that guarantees a total return on your money, then don’t think beyond bookdhowcruisedubai.com.